Free KaplanMD GIft for Attendees! Win Raffle Prizes & Baskets Worth Over $500! Dermatologic procedures for anti-aging and overall skin improvement are increasing constantly with the West Coast being a crucible for future innovations. We’ve invited one of the nation’s leading Dermatologists to bring us up-to-date on “in-demand procedures” requested by Celebrities, A-listers, Politicians and Housewives. In practice for 28 years in trend-setting Beverly Hills, Dr. Kaplan’s perspective provides insight into a wealth of information about all aspects Dermatology treatments, both invasive and non-invasive, which are currently in use and in development. This intelligence is especially important for anyone designing products for the future needs of the skin care or cosmetic customer. Dr. Kaplan will explain the harmony that needs to exist between “The Two P’s: Procedures and Products,” and how his concept of Skincare Lifestyle is important now and in the future. Dr. Stuart H. Kaplan graduated with honors from New York University in only 2-1/2 years, and accepted a scholarship to attend Albert Einstein College of Medicine where he graduated with distinction. He completed his internship in Internal Medicine at the University of Pittsburgh and did his Dermatology residency at UCLA Medical Center where he was selected as Chief Resident of the program. 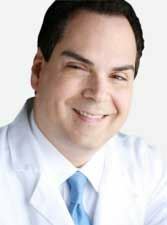 Dr. Kaplan is now an Assistant Clinical Professor at UCLA Medical Center and has been attending Physician in Derm Surgery at the West LA Veterans Hospital for over 27 years. In addition to his private practice, Dr. Kaplan is sought after as a medical expert by the media for both print and television, having appeared in more than 100 publications such as Glamour, Cosmopolitan, Harper’s, Marie Claire as well as the LA Times, Wall Street Journal and the NY Times. His groundbreaking work has earned him honors and awards from the American Cancer Society, American Medical Association and the US Congress. He was recently appointed to the UCLA Scientific Advisory Board. With a well-established worldwide reputation for quality and its extensive research and development of newly-sourced, natural, active ingredients, Campo Research is proud to provide functional EthnoBotanical and Botanical actives for the cosmetic industry. Recent introductions of naturals include: Songyi Mushroom Extract, Pearl/Nacre Moisturizer, Licorice Glabridin, Kinetin (isolated from unripe corn seed and young coconut juice), Beta-Glucan (from Songyi mushroom), Beta-Sitosterol, and a natural, plant-based broad spectrum preservative, Campo Plantservative. Songyi Mushroom Extract, used worldwide for its skin whitening properties, is a unique bio-herbal extract consisting of amino acids, powerful antioxidants, minerals, and vitamins known for their synergistic effect against skin aging (SOD process). It lightens face and body skin without causing cell death of any pigment cells during the rejuvenation process. Uptake of Songyi Mushroom Extract Enzymes (E) helps maintain normal biological balance in the endocrine system, enhancing colorless melanin pigment to balance skin tone and remove blemish and acne spots and hyper-pigmentation. Campo also offers various classes of heat stable and chemical reaction-stable plant-extracted enzymes for cosmetics and topical OTC pharmaceuticals. Among the more than 1000 active ingredients from Campo’s catalogue are innovative natural ingredients derived from exotic plants from China, India, Australia and Tropical Forests including Fruits Enzymes, Coffee Oil, UVA&B (for sunscreen), Neem Oil, Plantservatives, Mushroom extracts, Natural Colors, Alpha-Lipoic Acid and DMAE. AE Chemie, Inc. is committed to harnessing the power of science & technology to profoundly improve the ever-expanding world of Cosmetic Chemistry and Personal Care. Through the lens of sustainability and environmental stewardship, AE Chemie’s mission is to advance cosmetics in a meaningful and thoughtful way, always mindful of the planet and its inhabitants, every step of the product-creation process. Utilizing the latest innovations in our field, AE Chemie offers a variety of solutions including Preservative Systems, Surfactants, Actives, Emulsifiers & Thickeners, Esters, Exotic Oils and Natural Butters. AECOSOFT SURFACTANTS: A new line of naturally derived APG Surfactants utilizing the unique properties of Moringa, Marula, Hempseed, Olive and Sunflower Oil.